jQuery Plugins for web designers and developers. 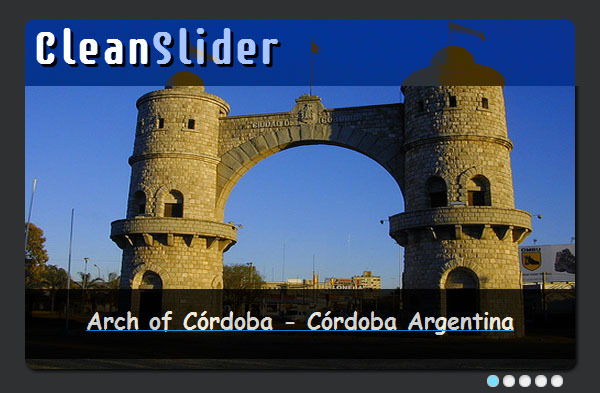 This post contains jQuery image sliders, mobile framework, image galleries, slideshow plugins, jQuery paging, interactive maps, image rotator, user interface elements and many other fresh plugins collected in one place. jQuery plugins are constantly being released, and it’s no surprise since it’s insanely popular, and for good reason. The only problem is being able to sort through them all to find the good ones. That’s why we’re always on the lookout, and we will found some good ones for you. In this post you can fine 12 Fresh jQuery Plugins. Enjoy! Here is a list of 12 Fresh jQuery Plugins. Enjoy! Hovercard is a cool jQuery plugin that displaying in-line related information with style when an HTML element of our choice is hovered. A hovercard comes handy when displaying Person bio, Book author and price, Loading related information with Ajax, Editing in place, and what not! What is so cool about this jQuery plugin! Smoothly fades the name into a hovered card (in place). Uses minimum css and no external stylesheets to download. Full control over html to be displayed. Comes with built in Twitter and Facebook hovercard. Supports callback functions on hover in and hover out. It is very useful for enabling users to reach micro info quickly (like a short bio, price of an item, an image, etc.) and comes with built-in Facebook + Twitter integration. Simply, it can display the details of a Facebook page or Twitter user nicely. 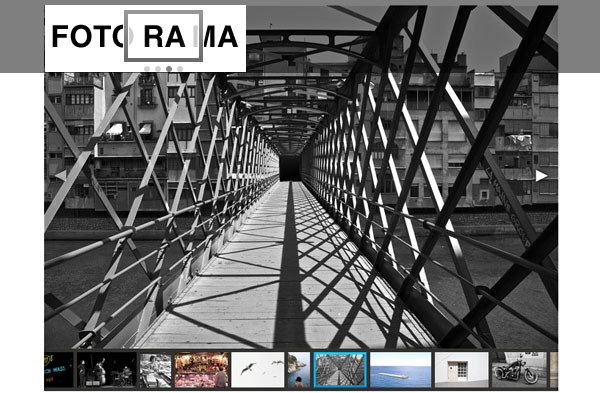 There are options for defining its width, position, background color and more. and also allow in-place editor. Also, callback functions exist when hovering in and out from a Hovercard item. The jQuery plugin can be completely optimized to run smoothly and programmed to save the precious CPU time of your browser and allows you to select from a range of transition effects or add your own, change settings, attach events, interact with the slider, and dress it in any design. All sharing buttons are differents, with Sharrre you can create uniform buttons to integrate with your designs. With Sharrre, the API buttons are called on demand and once, regardless of how many buttons you have. Sharrre is tested and supported in major modern browsers like Chrome, Safari, Internet Explorer, and Firefox. jqPagination is an Awesome jQuery plugin that provides anewer method of pagination for your web site or application. jqPagination uses an interactive ‘Page 1 of 5? input that, when selected, allows the user to enter their desired page number. The plugin will ensure that only valid pages can be selected, a valid request will result in the paged callback. The plugin is controlled with the special class names and attributes of HTML elements (for defining the prev, next buttons or setting the max pages). 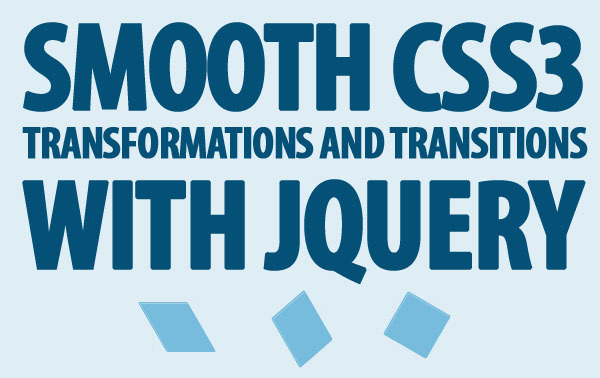 jQuery Transit reaches to the super-smooth CSS3 transformations and transaction for jQuery. It is a plugin for implementing CSS transitions and transforms, has the same syntax as .animate, supports most of the methods and has the jQuery juice like callbacks, chaining, auto-browser-prefixes and more. jQuery Transit use for Translate (move),Rotation, Skew, Scale, 3D rotation (Webkit only), Transitions for other properties, Callbacks, Custom duration, Easing, Delay, Alternate easing/duration syntax, Optional units, Relative units, Setting transform origins, Transitioning from one style to another. The plugin uses jQuery’s effect queue by default, so, transitions will never run in parallel. It doesn’t offer compatibility with older browser versions as real CSS3 rules are applied (rather than .animate) but degrades nicely and/or you easily force it to siwtch to the frame-based animation. jQuery Transit degrades older browsers by simply not doing the transformations (rotate, scale, etc) while still doing standard CSS (opacity, marginLeft, etc) without any animation. Delays and durations will be ignored. 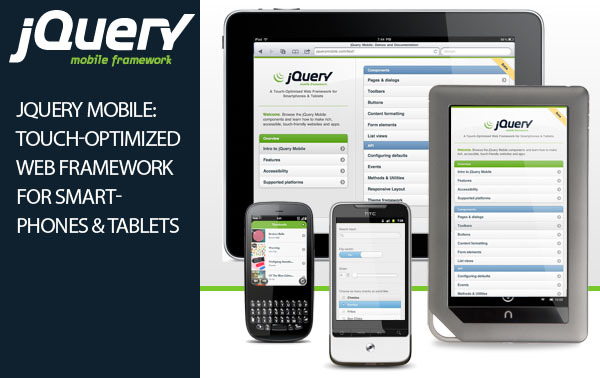 jQuery Mobile touch-optimized web framework for smartphones & tablets now stable with V1.0. HTML5-based user interface system for all popular mobile device platforms, built on the rock-solid jQuery and jQuery UI foundation. Its lightweight code is built with progressive enhancement, and has a flexible, easily themeable design. jQuery Mobile already supports a huge set of mobile browsers, has theThemeRoller for mobile and it is very well-documented with guides + examples for an easy start. The framework includes many widgets for (touch-optimized) mobile layouts: toolbars, buttons, pages/dialogs, content formatting, list views and forms. All built on jQuery core for a familiar and consistent syntax. It accepts unordered lists, can display captions, has a bullet navigation besides prev-next ones and uses fade animation for transitions. Such a limited yet (usually) enough functionality only weights 2kb and works on all major browsers. jQuery Geo is a jQuery for open-source geospatial mapping plugin for the popular framework that provides an easy-to-use API for map/geolocation related actions. Geospatial mapping jQuery plugin from Applied Geographics developed with the intention of making spatial web mapping significantly simpler than it may initially seem. We would like to point out the term “open-source” to explictly state that Google, Bing, MapQuest, Yahoo! & Esri are generally free but not open. use geospatial functions like calculating bounding boxes, measuring the distance between geometries, etc. The maps created are mobile-friendly and have lots of built-in methods for customization. 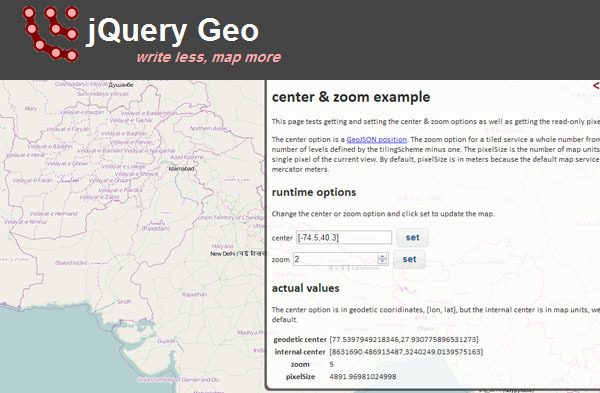 jQuery Geo is very well-documented and supported with a bunch of examples. Minimit is a highly customizable jQuery plugin for creating any type of content sliders including galleries, slideshows, sliders or carousels. The plugin has a good number of options that control the interactions and callbacks exist on every level. Minimit has a documentation page and a list of demo sliders that show how powerful it can be. Images can have captions, the image to be displayed on initial load can be defined and transition duration can be changed. There are also multiple options for arranging dimensions and positions of the slider and thumbnails (can be vertical too). 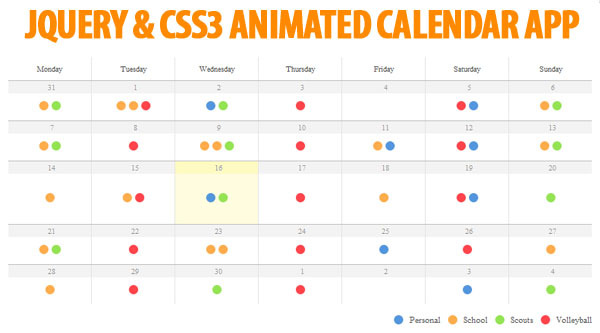 jQuery & CSS3 animated calendar app the whole idea was the calendars would become something you subscribe to. Let’s say you are subscribed to the calendar stream of your school. One of your teachers plans an event, such as a task or a test and adds it to the calendar stream. From the moment the event is added to the stream, you’ll get a instant notification that a new event is being planned. This means you’ll always walk around with an updated calendar. Due to the complexity of the idea and the lack of knowledge on my side this project never really took off.